Not too many years ago, the end of the business year meant lavish holiday parties and lots of gourmet treats provided by our suppliers. Times have changed and so has our business. The still-recovering economy did away with most of these parties. The gifts that are sent are typically modest, though no less thoughtful. Do I miss the days when walking from one end of the floor to the other meant passing dozens of trays of holiday food for the taking? I'll admit I do, a little. 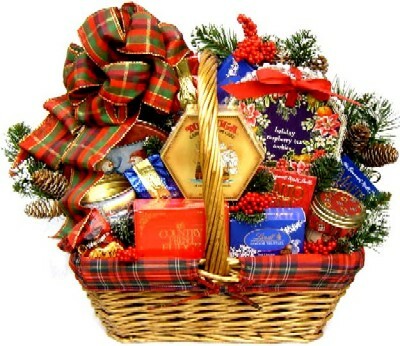 Harry and David, Wolfermans and Dean and Deluca gift baskets come but once a year. The upside to this is that less holiday food means less holiday calories. I do appreciate that. The one remaining food-related thing is the holiday lunch. Not the industry parties like before, but smaller get-togethers with supplier partners at nice midtown restaurants. I'm in that phase right now, desperately trying to maintain a proper diet as I get through this week and next. Last night I met some industry friends for drinks and that was fun. I had one beer which is 100% more alcohol than I've consumed over the last two months. I got home around the time I usually go to bed but I laid out my running clothes before retiring. This morning I did my 25 minute treadmill workout and it felt surprisingly good. If I moderate my lunch choices and maintain my workout discipline I may have a chance of getting through the holiday lunch period in as good a shape as when I started.